Find out the 8 Things You Need to Know to Crush Your Goals Plus a Free goal setting workbook to help you pinpoint your most important roles and goals to lead a purpose-filled life. I felt like a hamster in a wheel. Constantly going but not getting anywhere. On the outside, I was barely keeping up with my job, family and blog and my health was suffering for it. On the inside, I felt like I was drowning, just surviving but not thriving. In hindsight, those were some of my darkest days. Have you had them too? I knew I needed a change and fast. I decided to pursue happiness and quit my stressful job. I read The 7 Habits of Highly Effective People* by Stephen Covey during that first summer after becoming a stay-at-home-mom and it seriously changed my life. The 7 Habits of Highly Effective People changed the way I approached the things that happened to me and the health of my personal and work relationships as a result. It changed how I defined my new season of life and how I managed on organizing the seemingly unending chaos going through my mind. Among the amazing lessons I learned from The 7 Habits, it is that by clearly identifying and focusing on our most important roles, we are better able to focus on meaningful goals to help us live a purpose-filled life. So on to the good stuff…here are 8 things you need to know about yourself in order to crush your goals this year. I hope this help you define your roles so you can crush your goals and you can download my free goal setting workbook at the bottom of this page to take you step by step through this process. Answer each of these questions as often as you need to and as your season of life changes. My answers today are different than they were when I first became a stay-at-home mom and as a result, my goals change right along with it. 1. What ROLES Are You Juggling? Think about your weekly activities and group them into the roles you play and the people you serve. Jot down a quick list of all your roles. Do NOT sell yourself short and do NOT forget about yourself and the important personal relationships you want to strengthen. Which of these roles apply to you? What roles did I forget on this list? 2. Where Do You Spend Your TIME? Whether it is for a day a week or a month, track your time spent in your various roles. I did this for several weeks as part of Enthusiastically Dawn’s Planner Boot Camp and I could not believe the results. I made sure I was honest with myself, the results are only good if they are accurate, so yes, I even tracked when I totally goofed off. I spent a large chunk of time (20%) in my “chef” role (meal planning, cooking and various trips to the grocery store in a week). 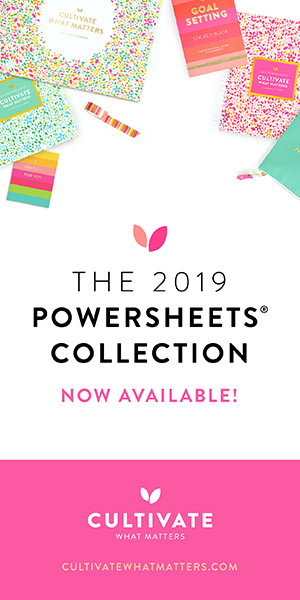 Find resources and tools that help you streamline manual processes and refocus your time on what is more important for crushing YOUR goals. As you make changes to your routine, keep tracking your time to see if you are becoming more efficient with your time and if you need to adjust your routine. Helpful Tip: Color coding your goal and associated tasks helps you make sure you master your desired work-life balance. I found Plan to Eat* and it streamlined my menu planning and I can get all my weekly shopping done in one trip. How do you spend your time? Do you want or need to spend more time in one role and less on another? How will shifting your time allocation help you CRUSH your GOALS? 3. What are your 5 KEY ROLES? Whittle down that long list in Step 1 into 5 key roles. You can certainly have more than 5 and add them into the planner yourself. I found that 5 was my magic number, any more would be overwhelming and unrealistic to accomplish for me. How many KEY ROLES do you have? What are they? 4. What are this week’s MUST DO’s? Your scheduled appointments and must-dos go in this section first. Then you can fill in your daily routine and track how you spend your time on each role. At the end of the week, total up the time spent in each role and keep it in your planner, journal or notebook. “Begin with the end in mind”, Dr. Covey tells us as we think about our goals. He tells us to contemplate what we would want our closest family & friends to say about us at our funeral. Jot down your big picture goals for each of the roles you defined. I dream of being a work-at-home mom and blogger so I can be present for my kids and contribute financially again to my household. I’m greatly inspired by Ruth Soukup of Elite Blog Academy* who tells us “the reality is that big goals get big results, while small goals, get small results. What you will become is what you believe you can become, and the bigger and scarier your goal, the more chance you will have for big success.” Her motto is “Do it Scared.” And it’s simple, but true. Identify those big goals you want to go for, the ones what identify your purpose and your mission for your dream life. If you’re a blogger, this FREE Goal Setting Workbook for Bloggers* will help you define your goals and priorities and eliminate your obstacles quickly. Develop a mission statement for the year and break down your goals into manageable pieces. Craft mission statements that start with an action (create, grow, inspire, in my example below) and keep in mind why you are doing it. Taking advice from GirlXOXO’s lifehack to Look at Your Goals Everyday, I created my own desktop mission statements so that every time I open my computer I remember to stay focused on my goals. Think about what kind of goals list motivates you and keeps you focused. Would you rather have a mega goals list and migrate to next week what does not get done? Or would you rather start with a small list you can realistically accomplish and add tasks when you get everything done? The choice is yours, do whichever will motivate you to stay focused on your goals. 6. What are your Top 5 TASKS? What steps do you need to take to achieve your goals? What matters most to you TODAY? Now plan out your tasks on what days you hope to get which tasks done. Helpful Tip 1: I read Getting Things Done: The Art to Stress-Free Productivity* by David Allen and it complements the 7 Habits very well giving us a comprehensive system for tracking our projects and tasks and decluttering our mind so that we can stay 100% focused at the task at hand at any point in time. Helpful Tip 2: I’m a busy mom with 4 hungry big and little men to feed everyday. I use Plan to Eat* menu planning tool to keep all my online and hard copy recipes organized. I can save links to recipes in the tool and it is simple to then copy and paste recipe links I’m going to make into the planner. 7. What are your SMALL VICTORIES? What are you GRATEFUL for? You might have guessed from my blog name, I think it’s important to celebrate my “small victories.” At the end of the day give yourself a gold star, a pat on the back or a high five. Note your accomplishments in this special little section. Get in the habit of noting something you are grateful for. This will help you end your day on a positive and happy note. It has been my practice for the last 9 years to think happy thoughts before bed and it has helped me lead a happier life and get a better night’s sleep. With Rheumatoid Arthritis, it is imperative that I get enough sleep or I will be in more pain when I wake up. 8. What do I need for NEXT WEEK? Jot down any reminders you need for next week. Things you did not get done, appointments you scheduled or need to schedule or things you need to buy. Write it down so you remember to tackle it when planning out your next week. Pinpointing your roles and mission, tracking your time, narrowing down your tasks into manageable pieces and decluttering your mind to give you focus on the task at hand will all help you crush your goals this year. The 7 Habits of Highly Effective People* is one of those books you need to buy and reread as your life changes. Whether dealing with difficult people at work or in your personal life, deciding whether to stay at home with your kids or starting a new business, the lessons learned from the 7 habits change as your life changes. I cannot recommend this book enough and wrote a full review here. I really enjoy listening to audiobooks on a long commute, while I’m doing more mundane tasks around the house or office or when I exercise. It helps me feel more productive to accomplish my goals. You can try a Free 30-Day Trial of Audible and Get 2 Free Audiobooks* so what have you got to lose? Give the 7 Habits of Highly Effective People* or the 7 Habits of Highly Effective Teens* a listen and see how it can help you or your teen achieve your goals! Subscribe to my Newsletter and Get your FREE Goal Crushing Workbook! 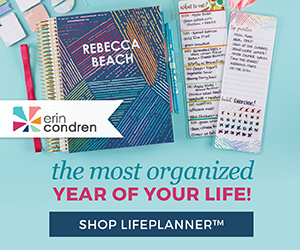 Plus subscribers also get access to my Exclusive Subscriber Library with even more free planners, printables and bookish goodies to help you achieve your dream life! Click on the image below or here to subscribe to the newsletter and get the Crush Your Goals Workbook. Even if you complete just these goal setting resources valued at $405, the rest of the bundle is incredible icing on the cake. You’re sure to find tools to jumpstart your productivity, manage your time better and make time for the things you love! Check out the entire Ultimate Productivity Bundle*. At only $37 for over $1,500 worth of resources, It’s an incredible deal for everything you get and the bonuses for early birds! Juggling home, family, a career and self care can be chaotic. Beat the overwhelm by thinking through step by step what is most important to you, what you can let go of, and how your time is actually spent so that you can focus on and crush the most important goals to you. What does being an “effective person” mean to you? How do you want to be remembered? Being intentional with your roles and big picture goals will help you achieve your dreams and fulfill the purpose you have for your life. This free goalsetting workbook printable can help you accomplish your goals and live a more intentional and grateful life full of small victories. What roles do you play in your household? What are some of your goals you’ve been wanting to accomplish? I hope this tool helps you, let me know if there are any items you think I should add/adjust. I’d love to hear your feedback! This is a great summary of the Seven Habits planner. I am trying to integrate the seven habits and GTD into a single system to ‘run’ my life. Article helped me to think. Click on one of the links at the bottom of the post. If you are trying to download the Google Drive version, then you will have to click File – Make a copy to save a copy to Google Drive. That desktop tip is crazy! I can’t wait to try it out ymself! Oh I hear you Becky, I learned the hard way the consequences of overdoing it with RA. I’m sorry to hear you’re dealing with fibro, osteo and RA, a triple whammy! I’m glad you’ve learned to listen to your body too. We’re in this battle for the long haul so it’s important to take care of ourselves each day and manage stress. I love bullet journaling too. I wish I was artistic as some that I’ve seen. I tried a strict approach to bullet journaling but it was too much for me to draw out all the layouts I wanted. So I bullet journal in my planners using the things I’ve learned from 7 Habits. I like discussing planner options with others so I appreciate you taking the time to read my article and comment. I love hearing what works for others! Thank you Kendall. I completely agree, I for one am glad for several options, I seem to always be switching around my planning needs depending on what’s going on in my life. I have to be realistic as well, RA does not always allow me to get as much done as I’d like so it forces me to accept my limitations and be flexible. I’m working really hard on only doing one thing at a time. I’m a recovering multitasker. 🙂 Thanks for stopping by and sharing your thoughts with me. 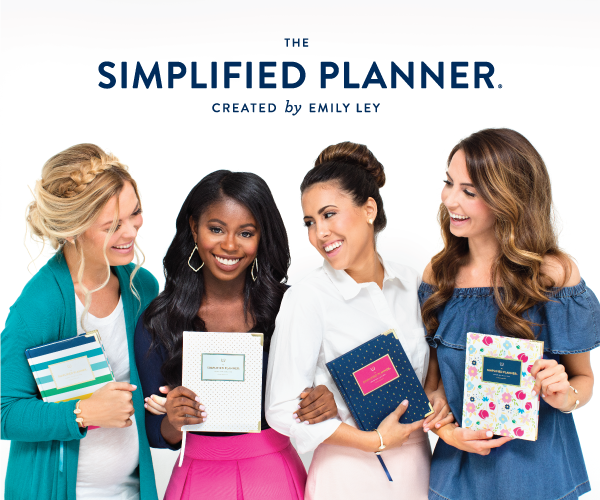 What kind of planner do you use? I’m still working on not doing as much multi-tasking myself. It’s hard once the boys are up for the day, but that’s not when I get the bulk of my work done either! Lol, I was thinking I needed to develop my own printables too, hopefully in the next year. Good luck with the shop, I look forward to seeing what you create! Awesome planner! I go in and out of organization/motivation/getting things done vs. wandering aimlessly. Right now I’m on a better track and it works. I’m using a combination checklist of things I need to do daily and a paper planner.I love how you break down the time spent on each of the roles so that people can really see how they spend their time. I could certainly use some organization! There are some great tips in your post. Thank you for sharing! I need all of this in my life right now! I have the book as my husband brought it home after receiving it at a training at work. It’s been sitting on my desk for quite some time now. This is perfect motivation to start reading and implementing. Especially with our homeschool year starting soon. Thanks for sharing! oh yes! Definitely start reading it. It amazes me how I can apply the Habits no matter what is going on in my life. Let me know what you think as you read or when you’re done. I’d love to discuss with you! Thanks for stopping by Natasha! i love this book. In college I was a Franklin Covey Planner junkie. This is a good way to organize Your day. Thanks for the printable. I love anything to do with Planners and I love the way this one is color coded. Thanks for sharing! One of the best planners I’ve seen. Thanks for sharing it!! Thanks Tiffani, being a mom and blogger is a juggling act isn’t it? Glad this planner is helpful to you to figure out your roles and how to achieve your goals! I love the way you have customized this calendar to fit your many roles. And I love that your Superhubby actually refers to it! I gave my own Superhubby access to my iCalendar so that he always knew what was going on; however, that only works if he actually looks at it! lol. Yours looks like an amazing resource and if I had it hanging front and center in my house, he may actually refer to it. 🙂 Great job, Tanya! thank you so much for this. i am a university student that has to have everything organized. this is a great way to have all my responsibilities on one page. i have converted the colours to correspond with all my subjects and i am excited to use it at the start of my semester.great job! Oh I wish I had been more organized as a university student. I love color coding and as a SAHM, it definitely helps me juggle different aspects of my life. I’m glad my free planner will help you juggle your courseload. Good luck this semester! Thank you for the wonderful planner. I really need this getting organized. How do I get the editable version for Google Docs? When I click on the link under the picture for Google Doc version, it will bring it up as a printable but I can not save it or edit it. I was able to bring up the blog planner on your site fine but this is not working? I don’t understand why you can’t save and edit this planner either. I need to search help forums to see if I can figure it out. I noticed the blog planner worked ok too but I did the same process for both. Thanks for letting me know Bobbie. See if it works for you now Bobbie, hope I fixed it so you can save a copy of the planner to your Google drive. I love your form and would really like to use the Google Docs version as a spreadsheet. I’ve not been able to save it as a spreadsheet though. It opens up as “output” and offers to save only as a webpage so it loses all spreadsheet functionality. Thanks so much for your contributions. Wow. What an asset you are! Thanks Wynelle, I added a link to an Excel version, is that what you needed? I hope that helps you download it into an excel spreadsheet. I don’t have Excel so you will have to try it out for me. That’s amazing! You have included everything. I should print it out and fill it in too. Thanks Tanya. You’re welcome Aysh, I hope it helps you if you decide to use it. I am a chronic list maker so it helps me to see everything in one place! Thanks for helping all of us stay organized! I pinned this to my “e learning” board on PInterest. Wow, this is impressive! Definitely beats my Post-Its on the fridge and iPhone calendar. 😉 I’m definitely going to give this whole organization thing a whirl. Thanks for the print-out! You’re welcome Dawn. Hope it helps you. It really helps me get more organized and stay focused on what I am supposed to be doing. This is a really interesting take on organization – I’ve never thought of it in terms of roles I serve. I always struggle to decide whether I need to have a list for each “role” or whether to just keep one to-do list. I’m going to try this out!!! Thanks again! Reading from Throwback Thursday! Thanks Ginger! I had some people ask for the Google doc version so I wanted to figure out how to share it. Its helped me, hope it helps others too! Tanya – this is some supreme organization you have here. I always talk about how Mommy is the CEO. I really like this. It is reminiscent of another system I liked but can not recall the name. It also utilized a week at a glance with the page broken into 3rds. The top was the roles for listing goals, the middle section was tasks and the bottom was appointments. The days of the week were in columns like this, too. I think I readily track things horizontally. I’ve tried vertical layouts and I just don’t gel with it. Is this doc available other than as a pdf? As a pdf, it prints with teeny tiny spaces. Not so good for my writing! Hehe, I like the idea of having something for hubby to see to know what you’ve been doing all day! Time to get myself back to September organisation mode once again, great inspiration, thanks. I need some organization! I would like to find a way to use this in my life. Wow, to have it all in one place is amazing. I need mom, wife, business partner and blogger. Sheesh! Good idea, thanks. Thanks Stephanie, glad you find it useful. I feel like mom and wife duties take over and “mom” implies so much more. I need to figure how to set up some sort of organization for myself. I just ordered a Filofax so I am hoping that helps. I wish I could, but I’m too tired from executing this week’s plan! 🙂 Laundry was my Everest today. Wow impressive. I like the way you gave yourself all those roles. I think all housewives will thank you! Thanks Heather. I hope it’s useful, the simple term “housewife” or “mom” certainly doesn’t do the job justice. I appreciate the support of your comment. This. is. awesome. I pinned it and tweeted it and just love it. Brilliant! This is great! I’m always looking for a better way to stay organized. I am going to subscribe to get the google doc template–this is what I was looking for not a printable one per say, but one I can keep changing and looking on the computer at it. Thanks! I’ve subscribed. How do I get the editable one? Thanks! Thanks for subscribing Cassie, I updated the blog post so now you can download the Google Doc version on the link under the picture. Hope this helps! you’re welcome, hope it helps you! I used to love Outlook when I worked but we don’t have it on our Macs yet. I didn’t know you could access Outlook on your phone. Do you have an iphone or Droid? We have Droids and a Cozi app for my online family color coded calendar, I love it but it’s so tempremental and it’s all dependent on the quality of connection at the moment. Inevitably, when I am in the dentist, doctor or orthodontist office trying to access Cozi to make an appointment, it will not connect. There are so many tasks to accomplish, color-coding really helps me keep a balance of what I do during the week. I love that you used to use colored pencils to achieve the same color coding in a paper planner. Thanks for sharing your organizational tips with me, Lisa. I love hearing about what works for other people. Wow, that’s really organized. My system is paper calendar on the fridge with the kids activities and appointments, and Google calendar on my phone with those same appts, plus my own plus bill reminders etc. Thanks Tanya, it’s helped me get all those ideas in my head on to one piece of paper for the week. Especially since I’ve been trying to cook more and shuttling kids to their appointments, sports and church, I always feel like I’m going to forget something!